Ah, how we love our Midleton here at TWE (patient readers with too much time on their hands can check out Tim F’s account of his trip there a year or two ago here and here). It’s no secret that we’re massive fans of the recent output of Ireland’s biggest distillery, from the small-batch single pot still glories of Powers John’s Lane and Redbreast to the frankly astounding excellence of their market-dominating mass-produced Jameson products (check out the superb and massively under-rated Select Reserve if you don’t believe us). 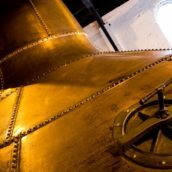 Midleton is clearly a distillery in the midst of a truly golden era, and boasts a versatility utterly unique for a distillery of its size. It certainly must be unique that a distillery of such phenomenal scale can knock out such remarkable small batch bottlings for the growing band of Irish whiskey aficionados. Midleton’s capacity has grown from 10 million to 33 million litres per year in the last few years, and is currently being expanded to a mind-boggling 60 million litres per year. That’s ten times more than Glenmorangie, 24 times the capacity of Highland Park and almost 80 times the size of Springbank’s output. Or 500 Kilchomans, if you’re looking for extremes. Those small batch bottlings are even more staggering when you consider the scale of their warehousing and reserve stock. This is a company that is currently sitting on over eight hundred and fifty thousand casks. 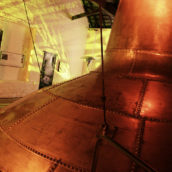 They have to vat over a thousand casks every single day to keep up with global demand for Jameson. 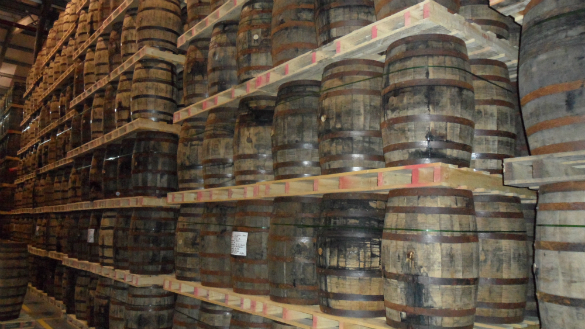 How on earth can they find casks of such mesmerising quality in their reserves? These and other mysteries known only to the folks behind Midleton’s remarkable run of recent form are suitable subjects for contemplation as one sizes up this latest minor miracle: an exclusive single cask Midleton single pot still Irish whiskey from the 1991 vintage, selected by and for The Whisky Exchange. U2’s ‘Achtung Baby’ album was released, as were Teenage Fanclub’s ‘Bandwagonesque’ and My Bloody Valentine’s ‘Loveless’. Abhorrent ‘pop duo’ Jedward had been born a week or two previously. Number 1 singles in the UK included ‘Dizzy’ by Vic Reeves and The Wonderstuff and Michael Jackson’s Black or White, the video for which debuted on television in 27 countries simultaneously to an audience of 500 million people. Robert Maxwell, Klaus Kinski and Freddie Mercury died. Terry Waite was freed from captivity in the Lebanon. The Robert De Niro version of Cape Fear came out in the cinema. As did Highlander II, to slightly less critical acclaim [I still deny the existence of any but the first film. There can be only one – Billy]. The last episode of Bread and the first edition of Noel’s House Party were shown on BBC1. Mikhail Gorbachev was still the president of what was still the Soviet Union. If that doesn’t make you feel old, you may be too young to be reading this blog. For Irish whiskey, then – especially single pot still Irish whiskey – this is pretty ancient. 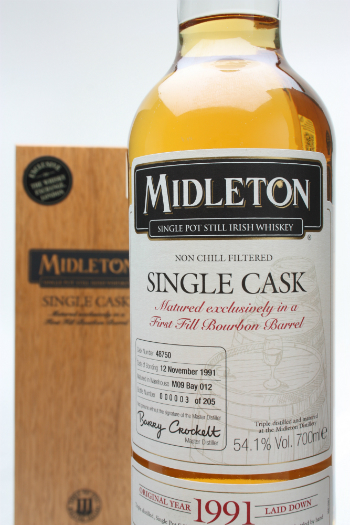 Midleton have done a small handful of single casks before, but very few have ever been released in the UK. Bottled at full strength from a single first fill bourbon cask just a month shy of its 21st birthday, this is certainly the oldest commercially available pot still whiskey we’ve tried. Nose: Naturally there’s waves of delicious vanilla cream from the bourbon cask, but here it’s merely the backdrop for a mouthwatering array of tropical fruit, with peaches and apricots most prominent. Hints of cantaloupe melon & kiwi that may be familiar to anyone who’s tried Midleton’s Barry Crockett Legacy, the jewel in the crown of the ongoing single pot still range. The single pot still cereals and brown-sugared porridge are there too, plus rhubarb crumble, sweet raspberry cranachan and honeyed flapjacks in abundance. A captivating nose. Palate: Sweet honey, then tremendously intense peaches & cream; a spicy bite, then oranges, apricots, dried ginger, white grape juice, rosehip syrup, shortbread & butter biscuits, the kiwi fruit, honeysuckle and various different kinds of melon. A growing woodspicey tingle. Water lifts the woodspices initially, but after a minute or two releases sweetpea, kumquat, orange flower water, nougat, natural caramel and grassy notes. Finish: Still lots of fruit, becoming orangey. The oak grows more prominent now, with hints of furniture polish and a final burst of warming, drying spice that envelops and lingers longest on the palate. Comment: At this age it’s no surprise that a triple-distilled spirit matured in a first fill bourbon cask carries more than a hint of oak. 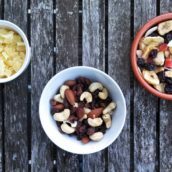 What’s really impressive is that the expected vanilla and spices play second fiddle for so much of the time to a massive burst of exuberant, over-ripe exotic fruit. At cask strength this is a taste sensation not for the faint-hearted; a judicious dribble of water smooths out the potstill’s naturally sharp edges and with a bit of time takes this exceptional dram to another level entirely. Many thanks to Irish Distillers for letting us choose this fabulous old cask. It’s available now on the website, priced at £235.